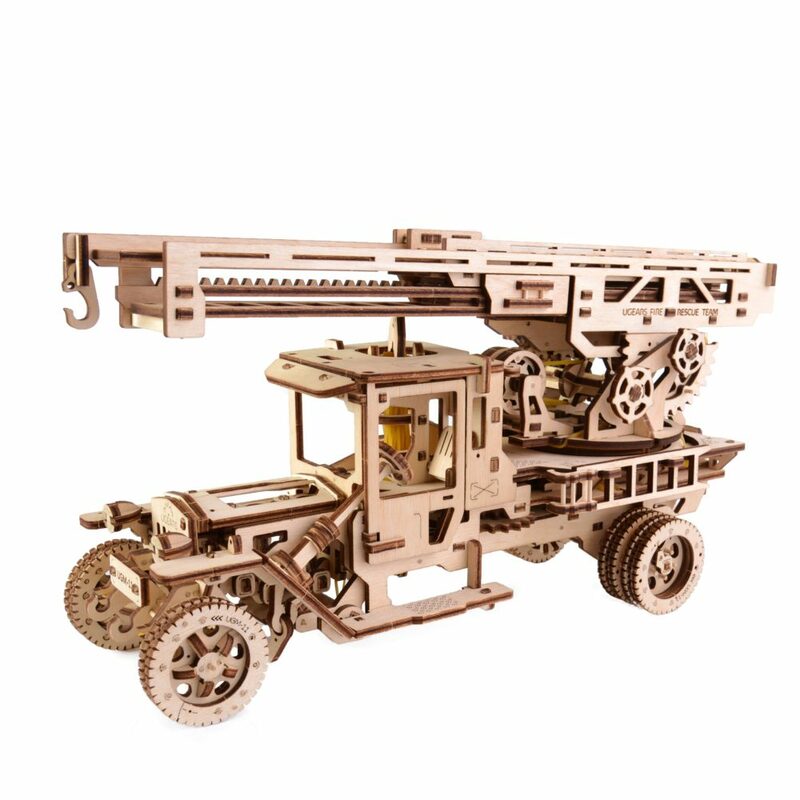 UGears Fire Truck functions like a real Rescue & Fire Truck with a turning foot, moving apart & ascending ladder, which transforms into a real crane with a hook. 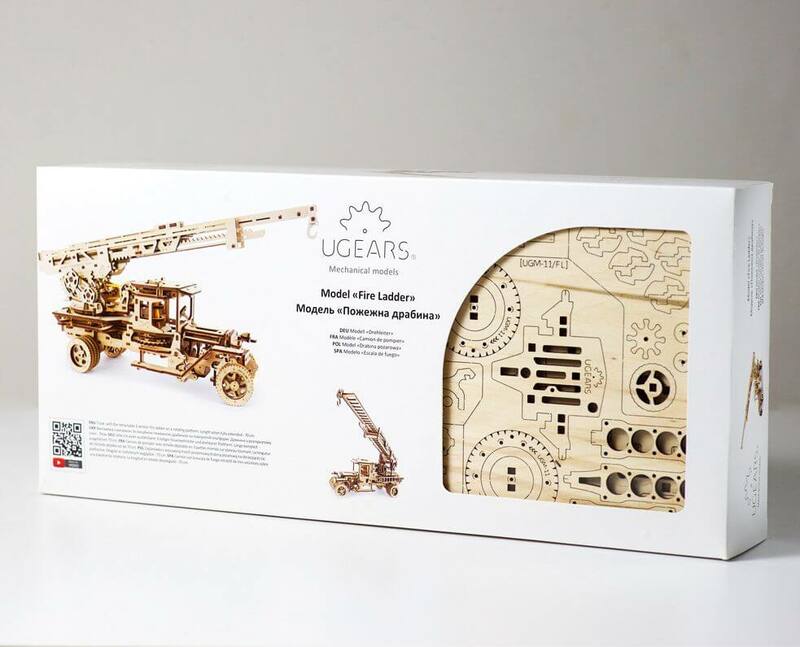 UGears Fire Truck model is equipped with the retractable 3-Section Fire Ladder on a rotating platform. The length when fully extended is 28 in. The Fire Ladder has several controls. Press the lever and lift up the ladder. Turn the platform to the right or to the left. Fix the selected position with a special ratchet. Wooden fire ladder is can be operated in a variety of ways ensuring that the population of Mechanical Town is safe from any fire hazards! 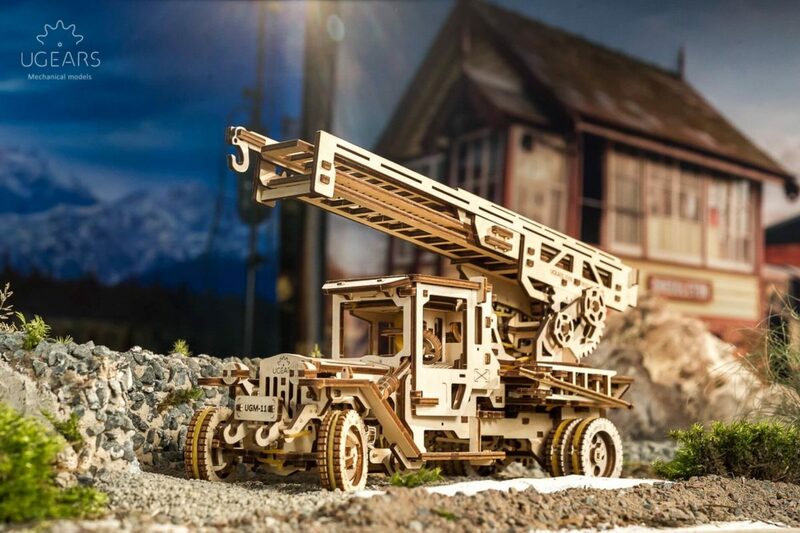 Based on UGM-11 Truck, the Fire Truck is equipped with a four-cylinder rubber band engine and moves on its own forward in the ‘drive’ mode and back on ‘reverse’ transmission mode. Start the engine in ‘idle mode’ and look at four pistons which move realistically under the folding hood. The extendable 3-section Fire Ladder on a slewing platform is 28 in long when fully extended. The Fire Ladder has several controls: press the lever and lift the ladder up, turn the platform to the right or to the left, or fix the selected position with a special ratchet. All three sections of the ladder can be extended ahead. Ascend the ladder and you’ll get a real crane with a hook at its end.There is even a little ladder to help Firemen climb the truck in few seconds. Like in a real Fire Truck, the ladder is mounted on its back. Made of sustainable wooden materials, Fire Truck model kit has all you need for assembly: a set of high-quality plywood boards with precisely cutout parts, detailed step by step instructions and several spare parts inside. 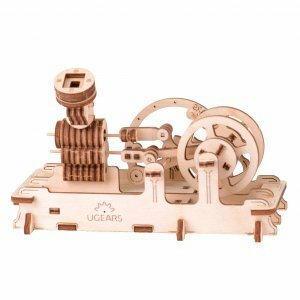 Assemble without glue like all UGears models by step-by-step, truly easy to follow, color instruction manual. 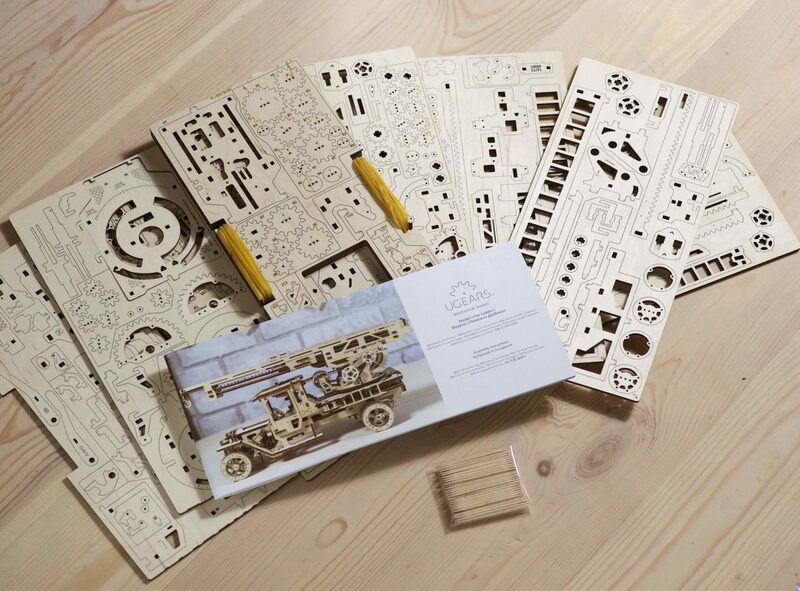 Pre-cut parts are easily pressed out of the board. 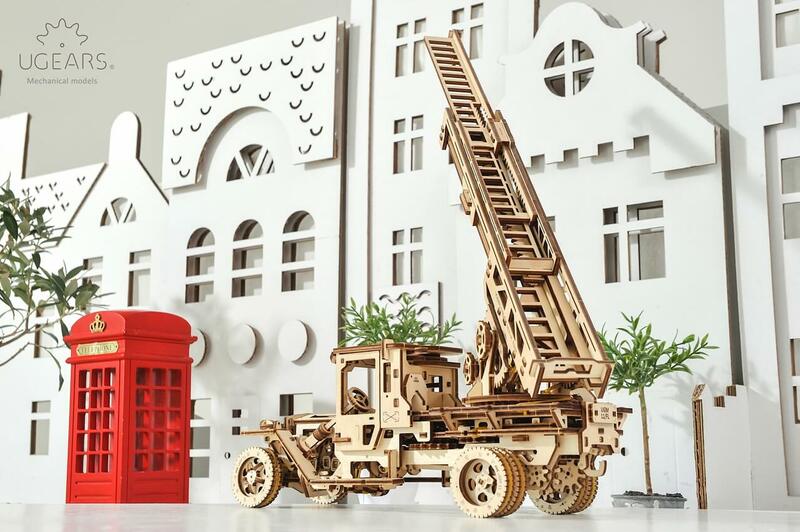 This fire truck puzzle is a perfect fit for a curious teenager. 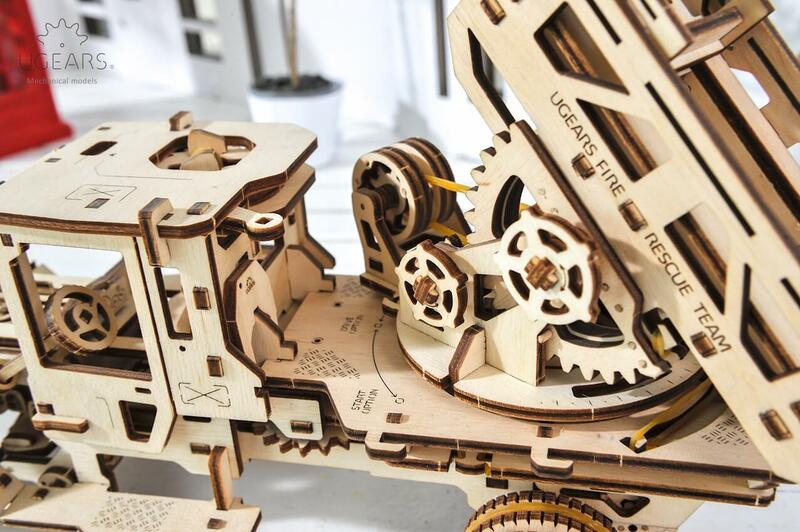 Not only it requires sertain skills such patience, perseverance and attention to complete it, but also gives an idea of how the engine brings vehicle to the motion. Both, my teenage son and daughter love the firetruck! my son loves old models of cars and trucks and his father bought him this model. 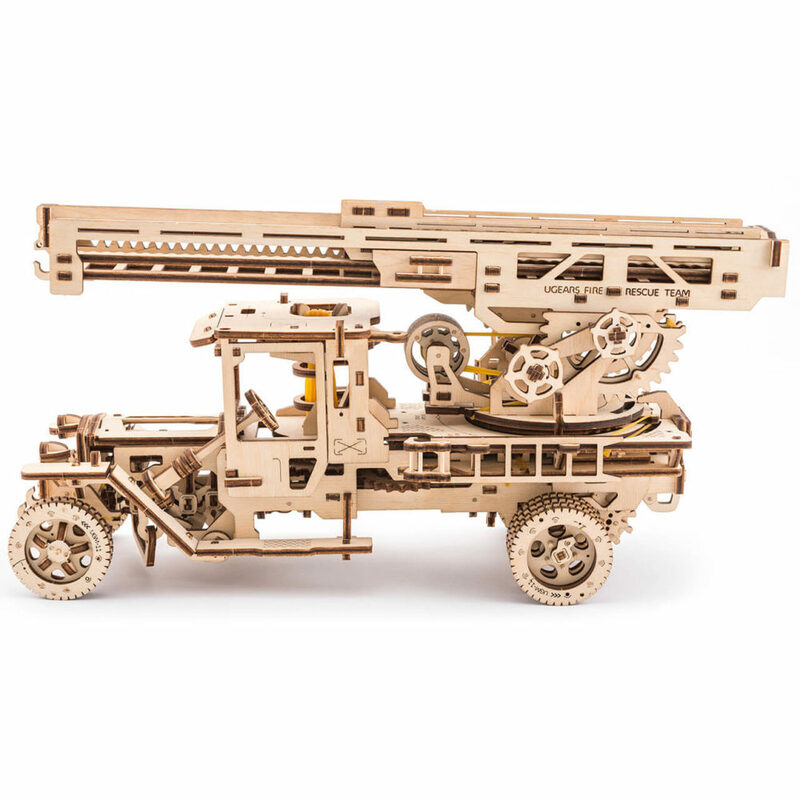 I don’t understand a lot about building, but when i saw this ugears fire truck when my son was done with it, i really liked it. It is very cute and looks like a real firetruck of old times. My son now wants to buy all the trucks from this collections. 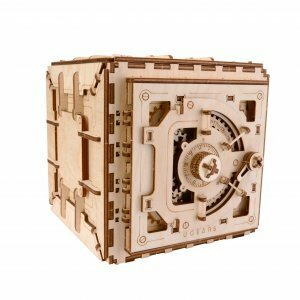 I’ve been looking for a model like this for a long time. 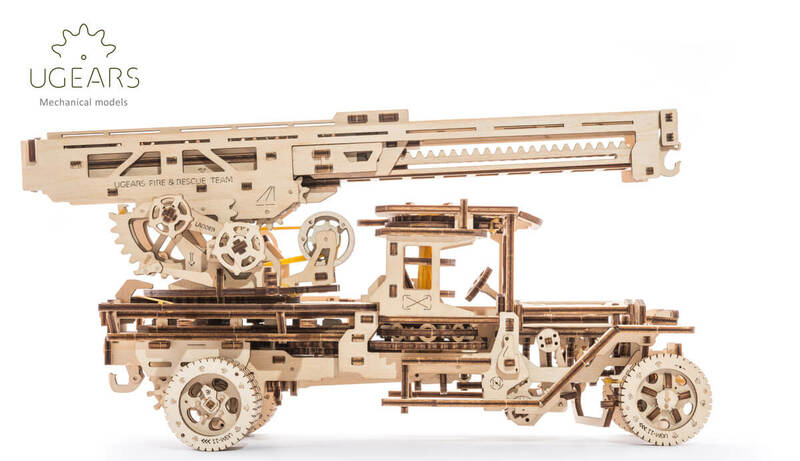 This ugears fire truck definitely beats all its analogues. First, I really appreciated the fine details of this model. 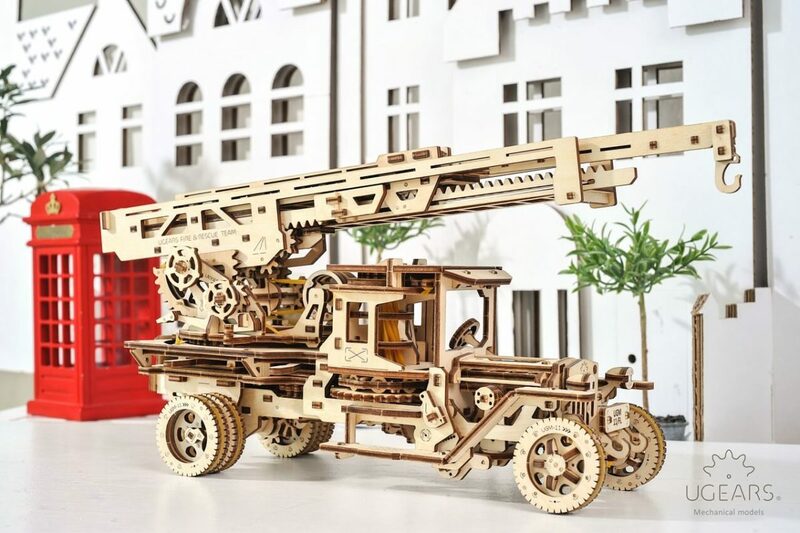 ; then comes the style: a real vintage firetruck; more: its made of natural wood (smells great) and not lifeless plastic; and last ( but not least) – it has a real working engine that moves truck forward and also backward!